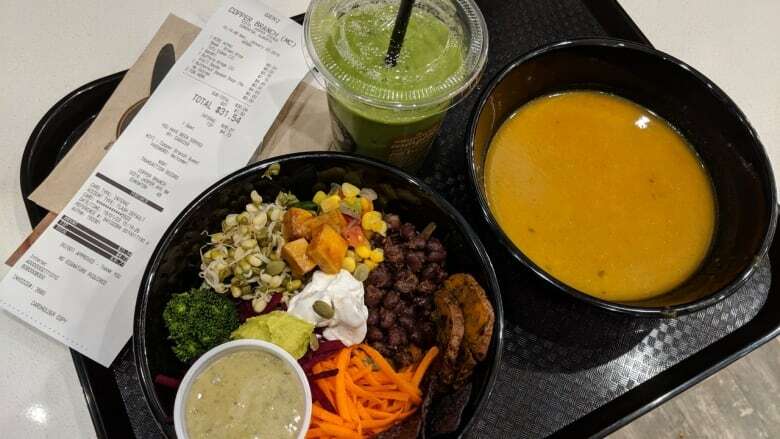 Copper Branch, the largest vegan restaurant chain in the world, joins the plant-based movement shouldering its way into mainstream meal options in Edmonton. Rio Infantino, an ex-fast food employee, started the Montreal-based company in 2014 and now has almost 40 locations across Canada with plans to open 150 more around the world by 2020. That's impressive growth by any standards. The restaurant offers a blend of quick service and casual dining. There is no table service. You order at the counter, take your food to a table (or to go) and find a seat in a room kitted out to have you done and out the door in 20 minutes. The menu is not revolutionary: expect smoothies, power bowls, all-day breakfasts, sandwiches, burgers, salads, organic coffee and tea, and cold natural beverages. Copper Branch's direct competition is KB & Co., located nearby on 104th Street. The factors that separate the two are price and setting. KB & Co.'s prices are marginally higher, but they do reflect the end product. Everything from ingredients to décor appears lesser grade at Copper Branch, from the thin butternut squash soup to the framed posters of various dishes hanging in the window. But for people watching their pennies, they will get good value for their dollar at Copper Branch where most dishes are offered in two sizes. Bowls of raw foods with cultural flavour profiles (Mediterranean, Asian, Mexican, Middle Eastern) come in large ($14.25) or mini ($9.75). I chose organic brown rice and mixed greens as the base for the Aztec and tofu cubes for protein. The bowl was visually appealing with brightly-coloured sticks of various veggies and filling enough, but the corn and mango salsa was devoid of flavour. The slices of sweet potatoes were wan and cold, and the four tofu chunks — no bigger than sugar cubes — got entirely lost in the mix. The zippy ginger-laced Ghandi power smoothie was super refreshing and a nice complement to the Buffalo wings. The three "wings" are made of shredded tofu that's seasoned and formed around a small stick to mimic a wing bone. The pieces are glazed with a hot sauce, served with an aioli and a side of sriracha coleslaw. Although the texture was off-putting — the outside felt like paper and the inside was like sponge — the flavour made them oddly addictive. 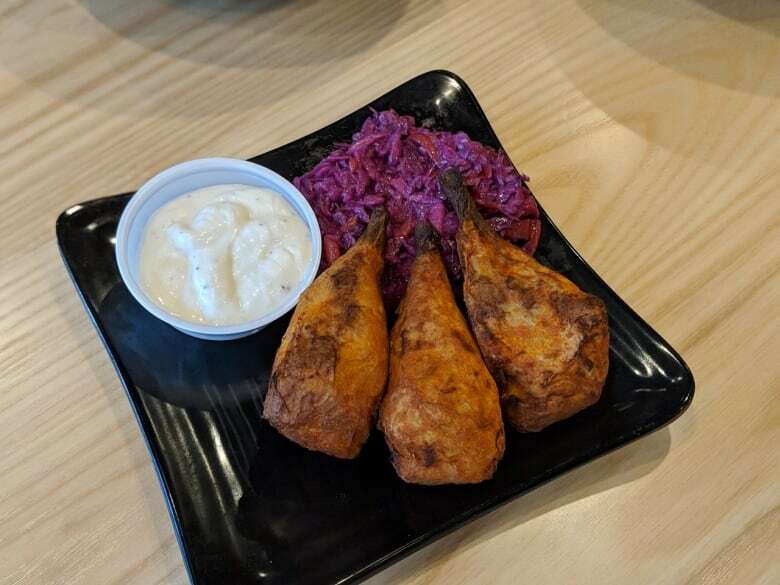 The food at Copper Branch might not be as pretty as KB & Co., and not as creative as Kanu, but it should appeal to the median, and for that reason I suspect their corporate growth to continue the trajectory it's taken from the beginning.